Tyler R. Dowdall is a partner at Epport, Richman & Robbins, LLP, experienced in the practice of commercial, banking, and business related litigation matters. Mr. Dowdall has successfully litigated contract disputes, business tort disputes (including negligence, conspiracy, fraud, breach of warranty, breach of fiduciary duty, and interference with contractual and prospective business relationships) and similar matters. Mr. Dowdall has represented clients in both state and federal courts, including the Central District of California, Eastern District of California, and the Ninth Circuit Court of Appeals. Mr. Dowdall currently serves on the Board of the California Receiver’s Forum and is the Secretary of the Young Professional’s Council. 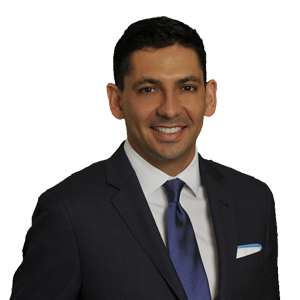 Mr. Dowdall was selected for inclusion in the list of 2019 Southern California Super Lawyers – Rising Stars. Mr. Dowdall received a Bachelor of Arts in Political Science in 2004 from the University of Southern California, where he was a recipient of both a Dean’s Scholarship, and the prestigious Leadership Scholarship. Mr. Dowdall then earned a Juris Doctor from Loyola Law School of Los Angeles in 2008. While in law school, Mr. Dowdall was a participant in the exclusive Hobbs Trial Advocacy Program, through which Mr. Dowdall became a Certified Law Clerk for the Los Angeles District Attorney’s Office. Mr. Dowdall spent a semester externing in the Compton Courthouse, and was able to prosecute numerous cases as lead trial counsel. Mr. Dowdall won every case he took to trial. Defended a health insurance association from quasi-class action unlawful competition claims, securing a dismissal with prejudice before a dispositive motion had to be filed. Defended an international social network from trademark and copyright infringement claims. Represented an international advertising company in employment and breach of contract matters. Obtained a full recovery, including attorneys’ fees, from a fast-food franchisee on claims of fraud and fraudulent transfer, after a two-week jury trial. Obtained a full recovery for a lender, including attorneys’ fees, after successfully having a Trustee appointed in a Chapter 11 case. Obtained a full recovery for a lender, including attorneys’ fees, in Chapter 11 proceedings for non-performing multi-family loans. Negotiated and documented commercial leases. Formed special purposes entities for real estate ownership and management. Know Your Rights: The New Credit Card Act. Lawdragon (June 2009). Author, Fannie and Freddie Lose a Taxing Ordeal. Los Angeles Daily Journal (June 22, 2012).